We know from the text what Philip didn’t know when he first encountered the Ethiopian. The man was coming from Jerusalem. The man traveled to Jerusalem to worship God. The man was reading from Isaiah 53. The man turned out to be eager for Philip to answer questions. The man was ready to respond to God’s offer of grace through Philip’s gospel explanation. I found a tiny book called Miracle Conversions (Vince Esterman, p 26-27, 2002) use Esterman’s outline for my signs of spiritual thirst, and fill it in with my own commentary. 1. He was returning from a special trip to Jerusalem. Sometimes a sign of spiritual thirst is expressed in a person’s desire to seek out a particular place of Christian faith, like a visitor arriving at your church for the first time. The Ethiopian had made a special trip to the temple in Jerusalem. Though the ethnicity and religious heritage of the Ethiopian is unknown from the text, there are a couple of parallels to today’s life. Maybe he grew up with elements of Jewish tradition and thus was returning to religion of his youth. Maybe his peers or friends were influencing him to grow his spiritual life and the Jewish religion was attractive. Maybe he had no religious upbringing and he was searching to fill an emptiness or find healing for brokenness. Evidence of spiritual thirst can often be seen in a person attending your church for the first time. 2. He was traveling a long way to worship God. 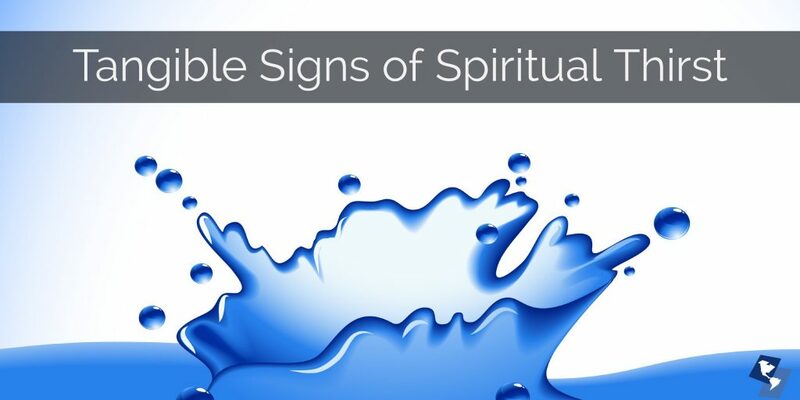 When a person is ready to change the routine of life and makes plans to attend a local church or bible study, this can indicate a sign of spiritual thirst. These are action steps beyond conversational curiosity. In the case of the Ethiopian, he likely invited himself to the temple and made plans to come. We don’t know if someone invited him to make the journey. When you someone who is not a follower of Christ show up at church or bible study without an invitation, you can be certain that is a shift in spiritual thirst. to agreeing to come and confirming the service times. Though the Ethiopian traveled a long way physically to worship, for others, it’s a long journey emotionally to accept your invitation to church or invite themselves to church. Evidence of spiritual thirst can be seen in the shift from no action to action. 3. He was reading the Scripture. When a person starts to seek God, they might begin their search with acquiring a Bible and reading it. This is a sign of spiritual thirst. Or perhaps after starting to attend a local church, this person begins a regular habit of reading the Bible because that’s a value lifted up in the local church. The Scriptures are the book to read if you want to know God. As my friend began going to church, he began to get honestly curious about what the Bible says. That led him and I do a Bible Study together where he could ask his questions, and wrestle with the questions in the study guide. Evidence of spiritual can be seen when one starts reading the Bible on their own and engaging with its teaching. 4. He was thrilled to meet a Christian. The Ethiopian was thrilled to encounter a Christian who could answer his question. When a person is spiritually thirsty and seeking answers, there is a joy in encountering an honorable and credible Christian. The Christian that the Ethiopian encounters is not written off as a weirdo, religious nut job, or hostile evangelist, but rather as one who could answer his genuine question. I’ve seen this happen myself with my friends that I’m influencing for Jesus. Some had such a negative perception of Christians that religious conversation was avoided. But over time, I earned the right to be heard and they began asking me real questions (#5 below). Evidence of spiritual thirst can be seen when one is attracted to seek out a Christian for answers to questions they can’t answer about God on their own. 5. He was thinking and seeking to understand. How can I, unless someone guides me? About whom, I ask you, does the prophet say this, about himself or about someone else? Conversion doesn’t come because ideas are exchanged. Conversion comes when a spiritually thirsty person understands and believes the promises of God. Honest questions can a sign of spiritual thirst. The Rich Young Ruler asked: What is the greatest commandment? Nicodemus, in response to Jesus asked: How can a man be born when he is old? The Athenians asked Paul: May we hear more on this matter? The Philippian jailer asked: What must I do to be saved? Evidence of spiritual thirst can be seen in the honest questions that seek truth and understanding. 6. He was ready to act. The Ethiopian is ready to take the next step after hearing the good news of Jesus. In this case, the next step was water baptism. Traveled to Jerusalem to worship God. Acquired a scroll of the Scriptures. Sought to understand his reading. Believed and asked to be baptized. To discover spiritual thirst – whether you see it in actions or hear it in a conversation – is a thrill. You see evidence of where God is at work. You see the evidence of how the Father is drawing a person to Jesus. These are the kinds of evangelistic conversations I love because a person has been prepared by the Lord to this point. I get to be the one God uses to bring that person into the kingdom. When I am obedient to His promptings, the Lord can use me. The Ethiopian was hungry for the things of God. He was spiritually thirsty. He was prepared by God. All he needed was a person to help explain – and Philip got the joy of being involved. 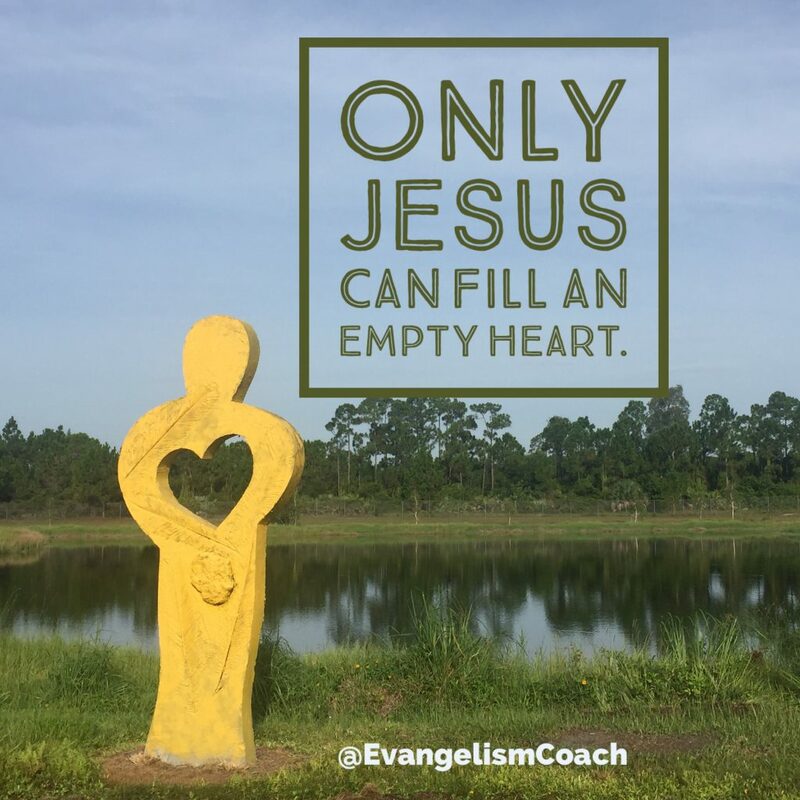 In all the habits of personal evangelism that you can develop, start with finding spiritual thirst. All other habits of evangelism flow from this one. If you don’t see spiritual thirst, start praying for your friends to experience it. If you don’t see spiritual thirst, you will likely not have any spiritual conversations about Christ and all the other gospel sharing habits that follow. When you find it, don’t kill it like I’ve done. 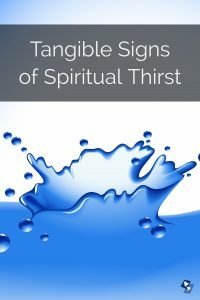 There is an entire section on Spiritual thirst and different ways it might appear in conversations you have. What a joy to wake up to such a powerful message! I dreamt last night like a tsunami wave about the height of a lamp pole hit our city…I could see it coming from miles away and heard the people scrambling and screaming, but alas everything was being washed away. My family and I (three of us) held hands and prayed, and we survived…I ‘m not sure what this means, but I prayed about it when I awoke this morning. O that God would send a tsunami of a REVIVAL to this backslidden nation of the Bahamas! Your teachings go a long way in helping me have courage and competence in witnessing to others…although I ‘ve been involved in the ministry of Evangelism for many years. My prayers are with you and your team as you travel to minister in Canada, the Lord bless and use you mightily…Heaven will surely be worth it all!